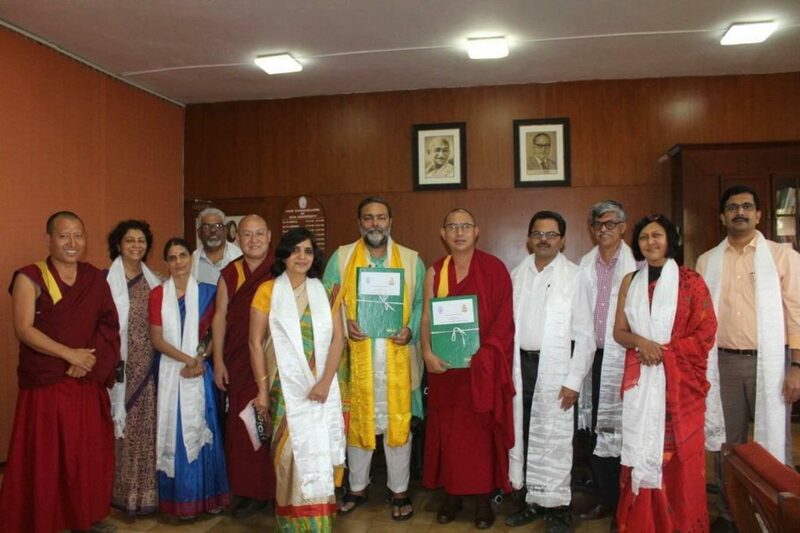 Dharamshala: Drepung Loseling Monastery based in Mundgod, Karnataka on Monday signed a Memorandum of Understanding (MoU) with Goa University to further collaborative academic objectives of the institutes and promote academic research. The Drepung Monastery was originally modelled after the great monasteries of Classical Buddhist India, namely, Nalanda and Vikramalashila, and is an institution dedicated to the intense study of the traditional Buddhist philosophy and sciences. It is one of the three great Gelugpa seats and the largest monastic university in Tibet. 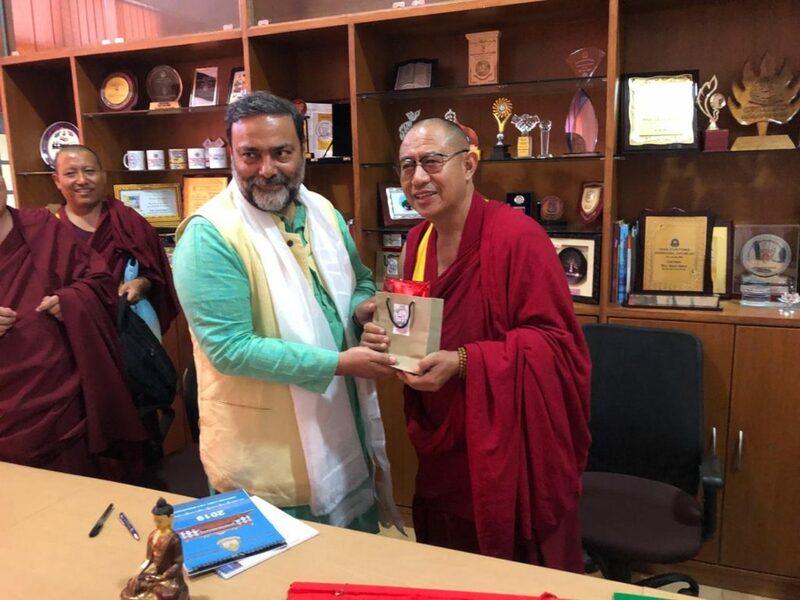 The framework of the MoU will focus on furthering the academic objectives of each institution and to promote better understanding between the faculty and students of Goa University and Drepung Loseling Monastery. In July 2018, His Holiness the Dalai Lama had proposed that the Tibetan settlement in Mundgod should forge a closer association with Goa through educational and cultural programs. In particular, His Holiness encouraged Tibetan monastic universities in South India where tens of thousands of monks and nuns are trained and equipped with the Nalanda tradition—encompassing the ancient Indian understanding of mind and emotions–to promote the extinct wisdom back in modern Indian institutions. “This agreement will also serve the purpose to further strengthen our knowledge and understanding in the field of modern science,” the Abbot said. Promoting mutual cooperation in research activities in fields of Buddhist and modern science, exchange of faculty and students, seminar and academic meetings, exchange of academic resources, administrative managers/coordinators and cultural programs are some of the areas where they have agreed to collaborate. 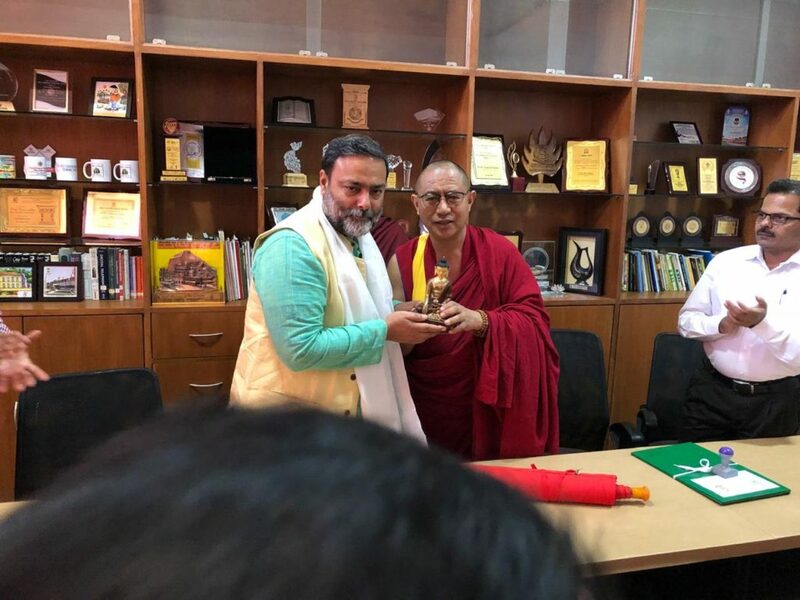 The MoU was exchanged on the Goa University premises by Vice-Chancellor Prof Varun Sahni, Goa University and Abbot Geshe Lobsang Samten, Drepung Loseling Monastery. The agreement will remain in effect for a period of three years and can further be extended or amended. Respective Liaison Officers of the two institutes will develop and coordinate the specific programmes. 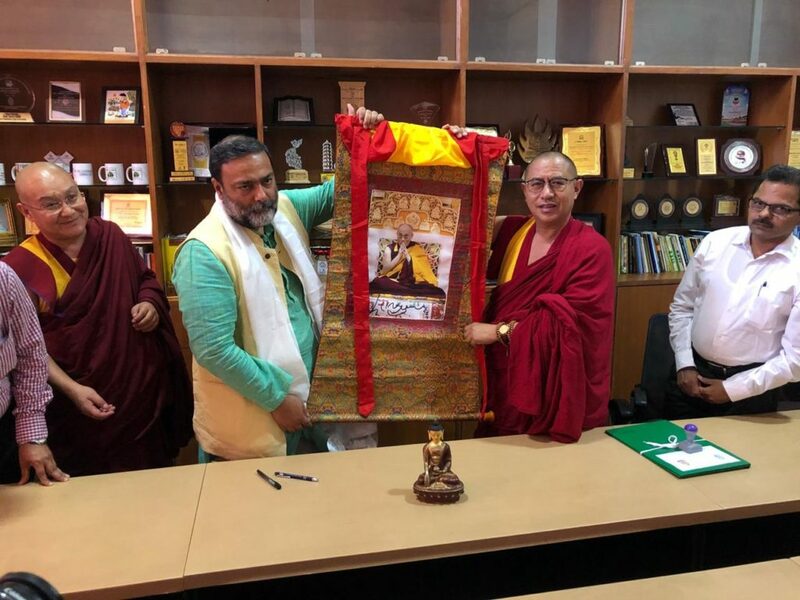 Abbot of Drepung Loseling Monastery presents a traditional Tibetan thangka of His Holiness the Dalai Lama to Vice Chancellor of Goa University at the signing ceremony. Exchange of mementoes at the signing of MoU. 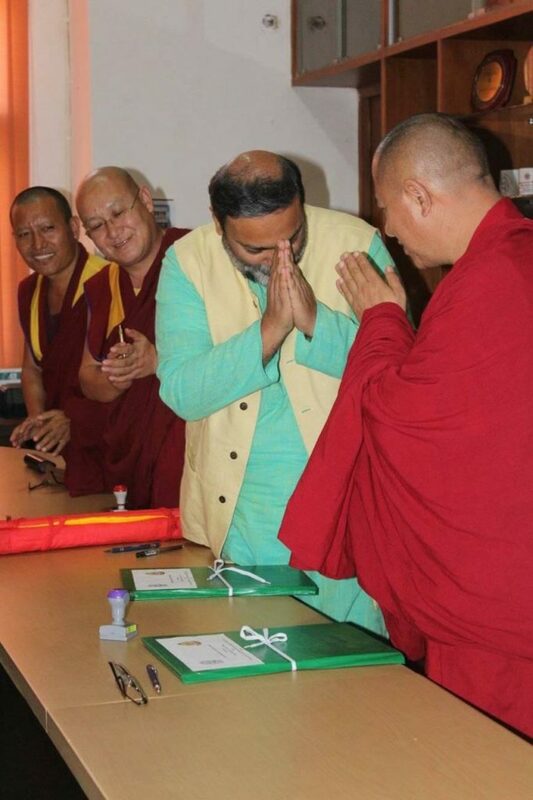 Abbot of Drepung Loseling Monastery and Vice-Chancellor, Goa University greeting each other after the signing of MoU.